"Thank you for the prompt delivery." 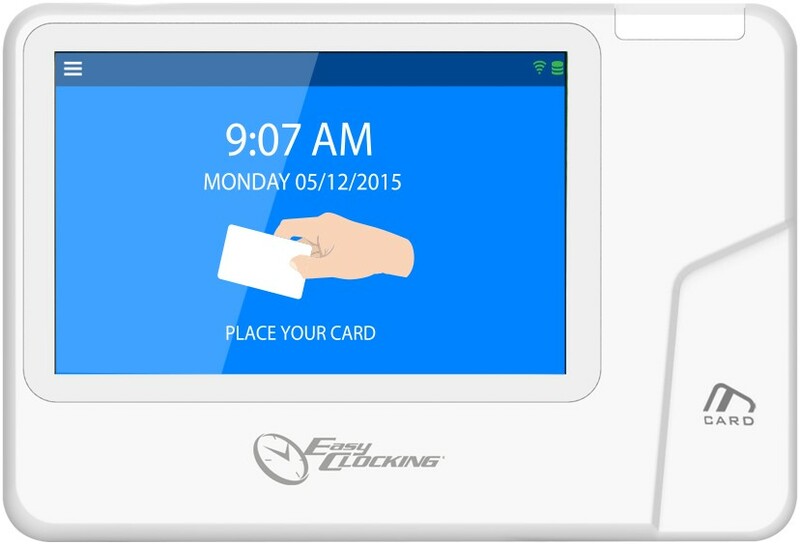 The Easy Clocking Xenio 50 is a cloud based RFID proximity employee time and attendance system designed for small, medium and large sized businesses alike. Easy Clocking Xenio 50 provides you with advanced methods to easily collect, track and manage employee time and attendance. 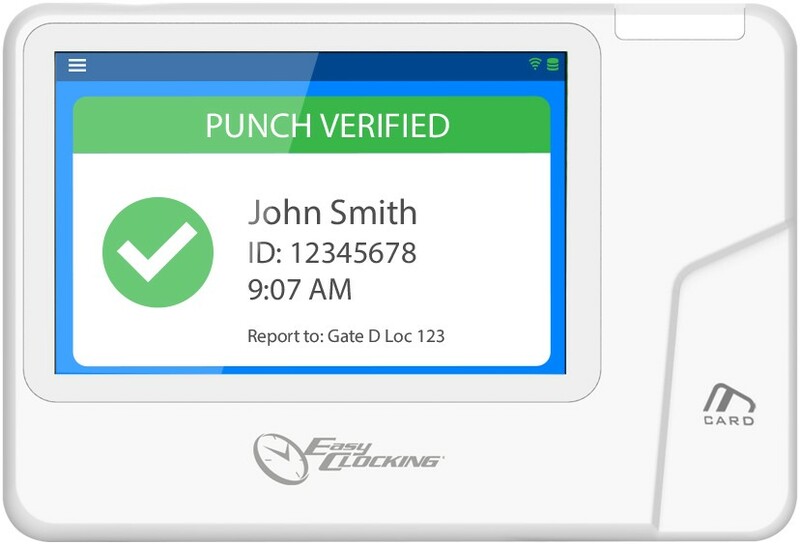 RFID proximity time clocks are the most cost effective method to collect employee time and are recommended for environments that may not be suitable for a biometric technology. 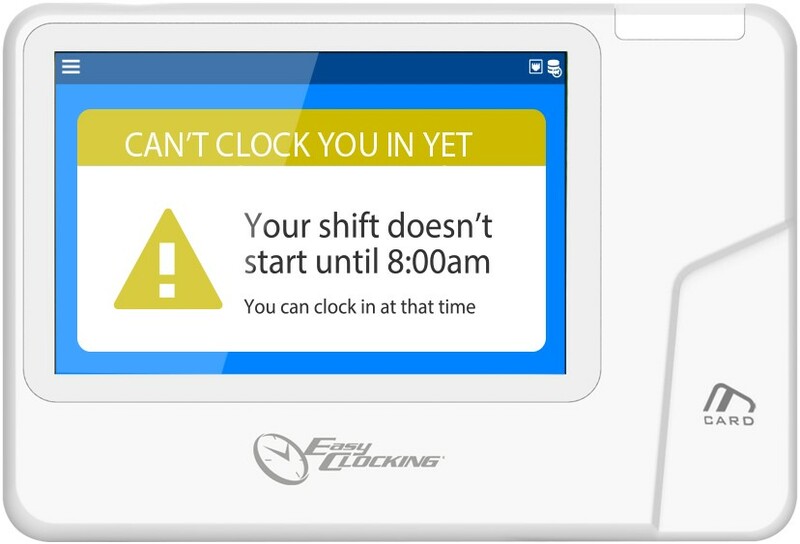 Control costly overtime hours by restricting when employees can clock in or out. 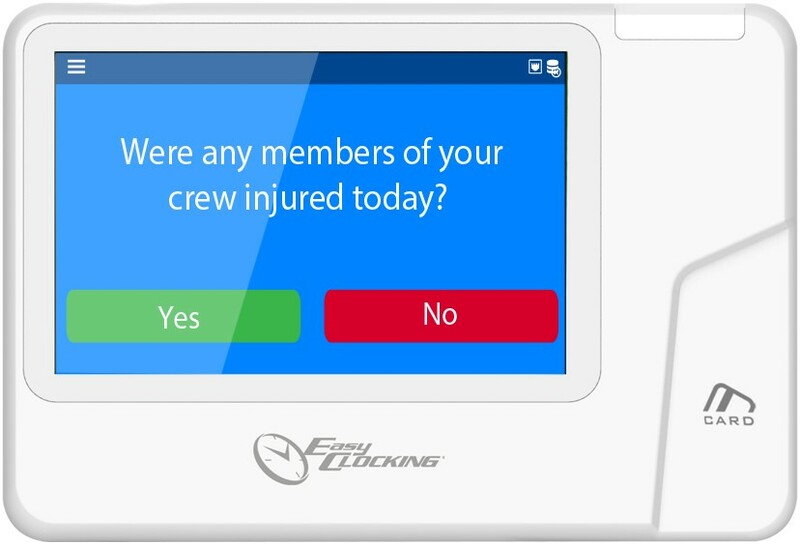 Empower your employees with the ability to check their jobs, punches, and schedules right at the clock. 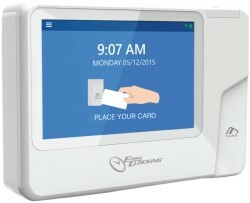 The large 5 inch color LCD displays easily notifies the employee on the action. 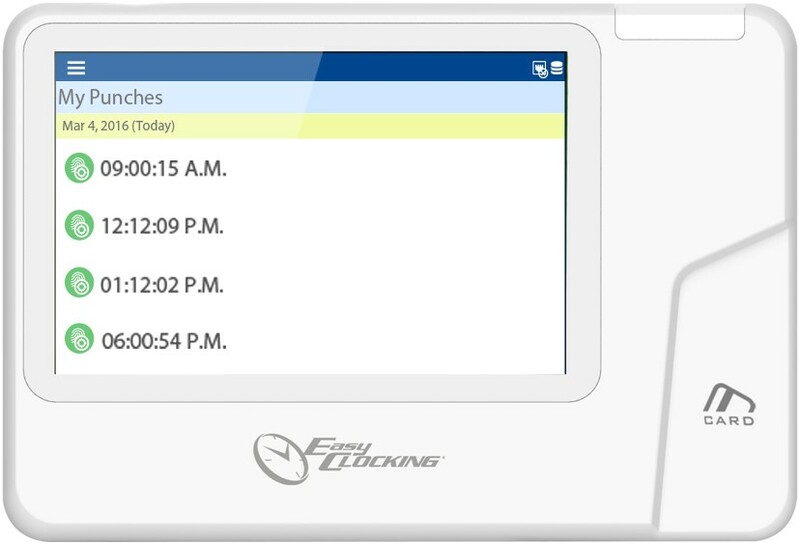 Allows your employees to view their work schedules. 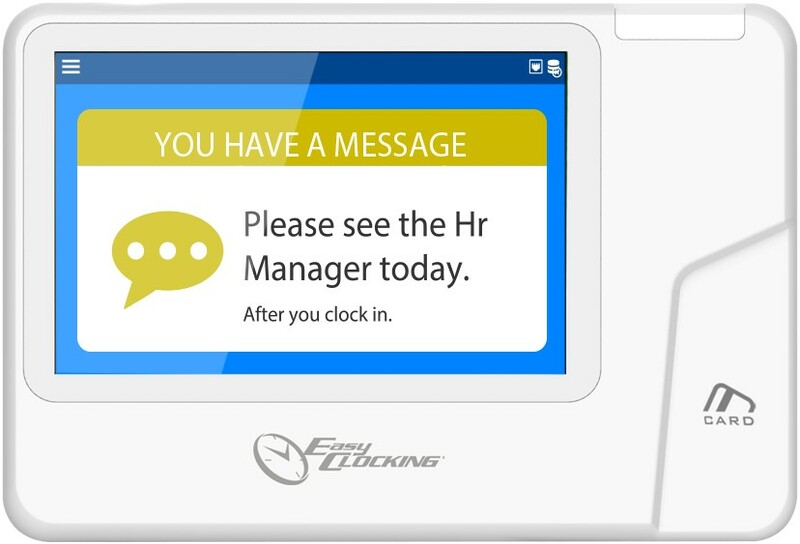 Message prompts allows management to easily communicate with staff when clocking in or out. Collect additional employee data at time of clocking, like entering tips, or asking a specific question. 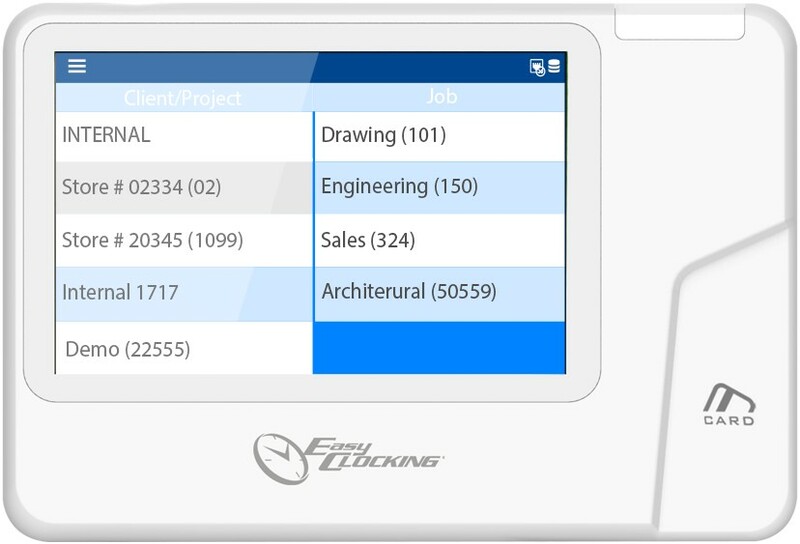 Effectively track labor costs for a specific client, project or job. 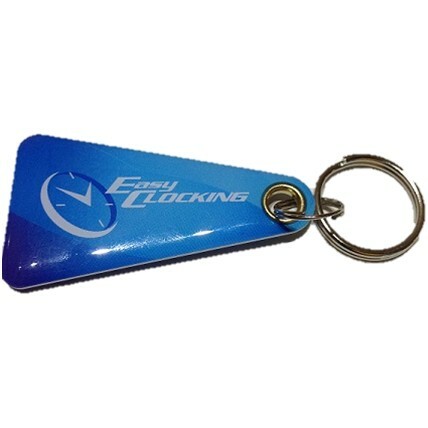 Allows employees to view their time logs. 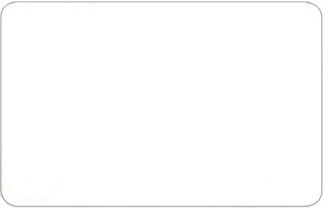 ^After your initial 12 months support, the ongoing support subscription is $220.00 (inc GST) per year.